Remember when your parents or teachers would say, “Try putting yourself in the other person’s shoes?” Sometimes, they even re-framed the situation so you could see it from the other person’s perspective. Developing empathy for others is more than a social skill. It’s essential for hearing and understanding the depth of patient needs, such as those expressed through the heartbreaking yet inspiring voices of autoimmune patients. With empathy, stories like Britta’s whose symptoms began at 10 years old, or Julie, who found out she had psoriatic arthritis at 13, can make you feel the growing incidence of autoimmune diseases in youngsters and the urgent need for better, faster diagnoses. Patient voices can help guide creative thinking for improved care. So, tap into your imagination and step into the world of the Lonely Voices. In Palo Alto, CA, September 2015, we found ourselves taking a big step forward for autoimmunity at Stanford Medicine X. Using the 400 responses from our pre-conference survey as a guide to three big problems shared by the majority of responders, our MedXAutoimmune workshop was an opportunity for and by e-patients to take charge, brainstorm solutions, and describe what their autoimmune and chronic disease care should look like. Attracting autoimmune community members across the spectrum of care, we became an ad hoc team of engaged patients, healthcare providers, researchers, and entrepreneurs prepared to collaborate. We were ready to storm the barriers found in the survey. Below are three of the most pressing problems and potential solutions from the workshop. If you would like to explore more, make sure to read the full version. One very large need was that the diagnosis process was an extended and frustrating obstacle to receiving adequate care. The correct diagnosis of autoimmune disease too often means seeing several different specialists over many years. Additionally, patients’ symptoms are often dismissed, denied, or overridden by lab results. Testing is inefficient and, sometimes, counterproductive while treatment is delayed or ineffective. How might we help autoimmune patients get diagnosed faster, saving them and their physicians time, money, frustration and complications? A favorite solution to this problem was the creation of joint multidisciplinary diagnostic/treatment teams that could give autoimmune patients earlier, more accurate diagnoses (including multiple autoimmune diseases). Such a team should include a central coordinator, primary MD, medical specialists, and integrative medical (diet, exercise, stress) experts. The team or coordinator would meet with the patient (via telepresence), compare notes, plan diagnostic, and treatment processes, and better understand the patient experience. Moreover, patients preferred that rather than cover up or refer away, physicians admit when they don’t know and view the patient as a partner with special knowledge. 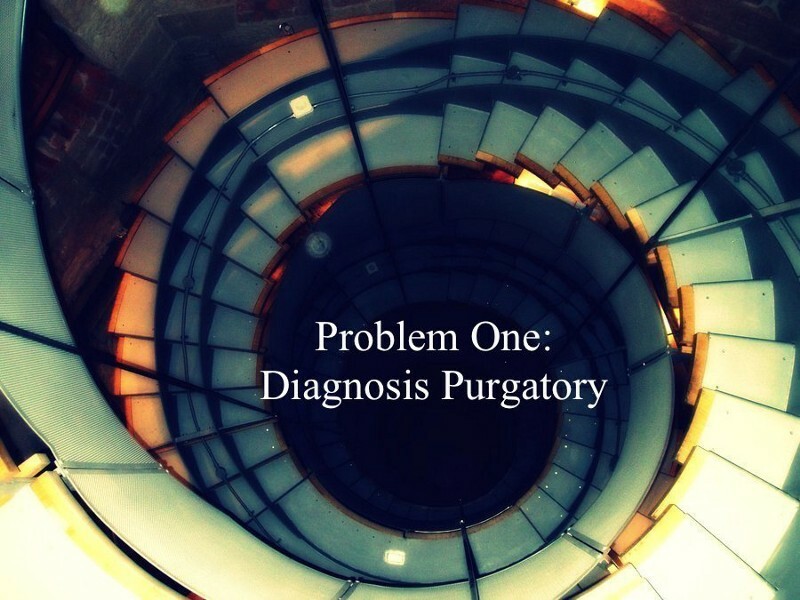 Working together to brainstorm root causes—wild ideas and all—with the help of systems thinking, could illuminate the darkness of diagnosis purgatory. Autoimmune care is fragmented and uncoordinated across multiple specialists with poor or no communication or collaboration among specialists. As a result, care often relies on—sometimes redundant—lab test results to prescribe single treatments which may or may not clash with another specialist’s prescription. This lack of coordination is worsened by the isolated silos of specialists and the separate, even hostile, modalities of integrative vs. conventional medicine. Furthermore, the technology to solve these issues (EH/MRs, data sharing, etc.) is not yet creating the promised holistic and integrated view of each patient. How can we support better coordination among conventional practitioners for autoimmune patients? How might we bridge the complementary and conventional medicine gap? A top-picked solution was to establish and empower a single care coordinator, who can lead group brainstorming and care-planning sessions. This person would act as a “quarterback” but does not have to be the primary MD. It could be the patient (if able and willing), or a non-MD such as a psychiatrist, registered nurse, physician assistant, etc. We can also help bridge the gap by building coordinated interdisciplinary care clinics, increasing patient control, developing open source apps and improving EHR/EMR technology to organize visits for greater efficiency. By creating an interdisciplinary care clinic, conventional and integrative medical doctors and practitioners could combine their knowledge to better care for all aspects of the patient: diet, lifestyle, genomics, microbiome, etc. Though Diagnosis Purgatory and the Tower of Babel are bad enough, patients are faced with yet another challenge: diagnoses and treatments are symptom and lab results-based, leading to piecemeal treatment of symptoms that can lead to polypharmacy problems. Within the clinical setting, there is rarely any systems thinking, big-picture view, or root-cause analysis. Exacerbating this clinical mindset, research and development targets narrowly defined body-part diseases to develop single-prescription treatments. Meanwhile, prevention is not even on the horizon! How might we discover similarities and trends across disease clusters that might help us better understand underlying factors? How might we move toward precision and personal medicine? Finding the root cause of anything takes costly time and detective work, but to advance from symptom management to substantial healing, the scientific-medical paradigm needs to move from a single cause-single effect focus on body parts towards more holistic, systems approaches. We need to seek root causes, not just a single source of an isolated symptom. Some approaches include reverse engineering from successful cases; iterative treatment, recategorizing, and expanding the underlying factors considered in autoimmune cases and patients, as with the microbiome and diet, or genomics plus environmental triggers (e.g., antibiotics, food sensitivities, infections, stress). Creating a foundation for anything requires careful attention to detail so that the edifice built upon it can last a lifetime. While autoimmunity is still in its infant stages, we can gather foundation inspiration from companies that give us hope. Companies working to improve Diagnosis Purgatory are: The Open Medicine Institute and MyGiHealth. The Open Medicine Institute works on advanced testing for diagnoses, while MyGiHealth improves tracking and communication with the doctor. Chronic disease care collaboration platforms such as those of Noom, Twine, and Welkin fight to restore communications in the Tower of Babel. While not many are publicly searching for autoimmune root causes, we can look to The Institute of Functional Medicine, the Functional Forum, and more, who use systems biology thinking that focuses on the underlying cause of the disease, for personalized treatment. Collaborating, combining, and sharing these platforms and missions will be one step closer to forming a solid foundation. The last and most important part of building this foundation is you. Whether you are struggling with your health or are as strong as an ox, your health, the future of your health, and in some cases, the health of your descendants, are in your hands. Empower yourself and find support with JIYO, Nudge Coach, Vida, and We Are Curious. With hopeful and resilient mindsets, together—companies, foundations, patients, advocates, and researchers—we can amplify the lonely voices of autoimmune disease to challenge this invisible epidemic head on.